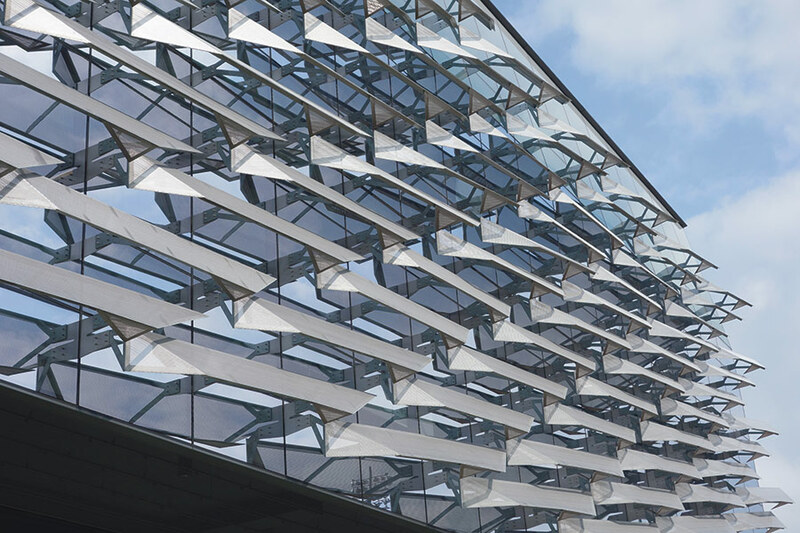 In recent years, architects and fabricators in the field of facade design and construction have formed new collaborative relationships through the design assist model of contracting. Under design assist, the fabricator contributes their know-how throughout the design process, not just during building. A couple of factors have encouraged the shift to design assist. On the one hand, "the recent increase of building skin complexity has been a driver of this new way of working," explained Enclos’ Luke Smith. "But I think budget and schedule demands have also played an important role." 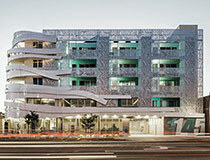 Next week, Smith will moderate a panel on design assist contracting, "Delivering Complexity," at Facades+ LA. With panelists Bill Kreysler (Kreysler), Paul Martin (Zahner), and Kerenza Harris (Morphosis), Smith will explore several case studies of architect-fabricator collaborations, and will examine the benefits and challenges of these new alliances. (Smith is also leading a dialog workshop, "Material Explorations: The Resurgence of Wood," on the second day of the workshop.) Because design assist encourages early and frequent communication between architect and fabricator, said Smith "all of the involved parties feel invested in the project." Collaboration also improves the likelihood that a design is actually built. "Working together toward a buildable solution can often mean the difference between whether a project moves ahead or not," said Smith. "At Enclos we’re seeing that the discrepancy between design intent and budgetary restrictions can be minimized through early involvement on a project." As for the criticism that design assist removes control from the architect, he argued, "given the intricate knowledge required, the facade is no longer simply a byproduct of design, but is a specialty of its own." Smith and the rest of the panel will focus on two examples the group knows well: Morphosis' Emerson College Los Angeles Center (with Zahner), and Snøhetta's San Francisco Museum of Modern Art. The museum expansion, said Smith, "has been a great opportunity for Enclos, partnering with Kreysler, to explore solutions with Snøhetta from a very early stage of facade conception." Regarding the future of design assist, "increased communication between the two 'sides' of architecture and construction will only benefit everyone in the long run," said Smith. "Whether we need to collaborate on all projects is another question. 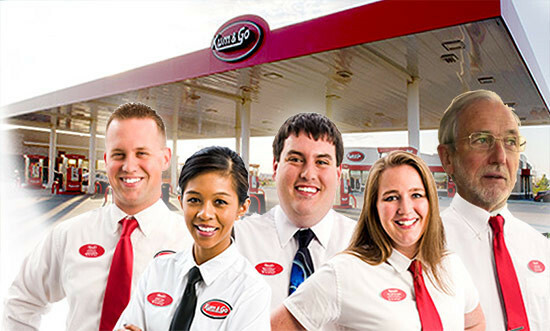 Where we really see the process take center stage is when a new challenge arises." 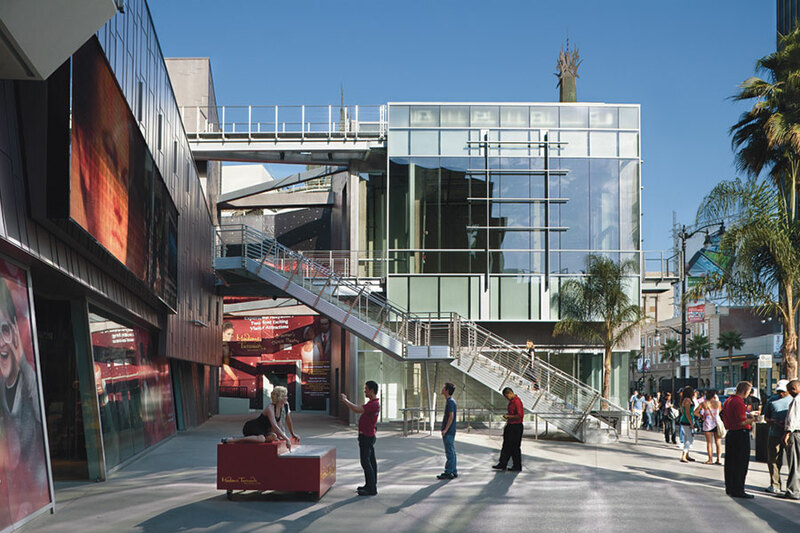 To hear more about design assist from some of the AEC industry's top experts in building envelope design and construction, register today for Facades+ LA. More information, including a complete symposium agenda and lineup of tech and dialog workshops, is available online. 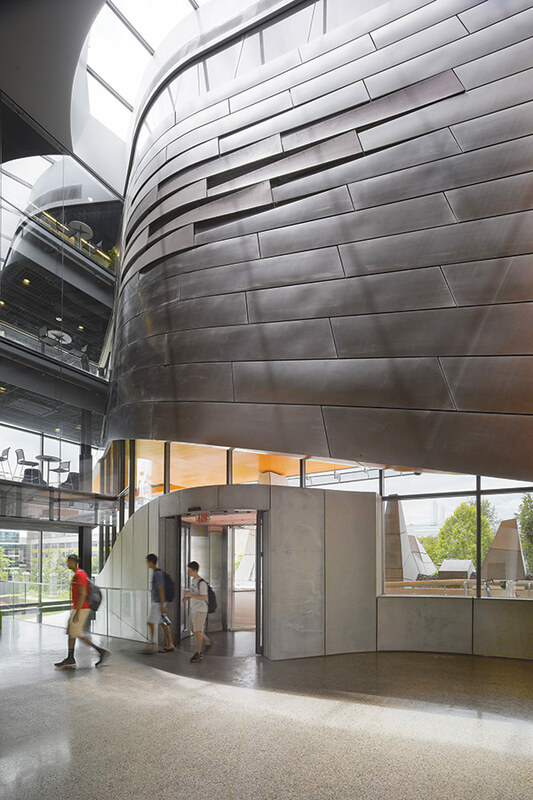 Morphosis' Gates Hall provides a transparent, light-filled workspace for the department of Computing and Information Science. A scaly silver beast emerging from a hillside, or a precise composition of abstract geometries? 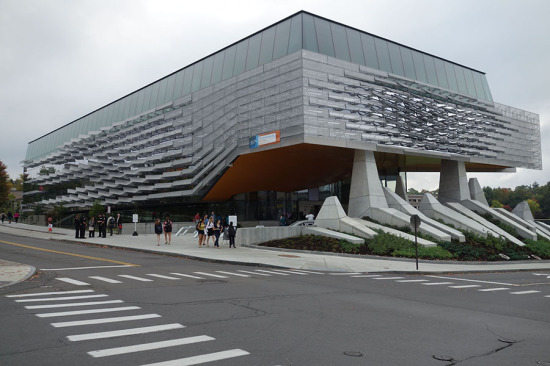 Bill & Melinda Gates Hall, the latest addition to Cornell’s Ithaca campus, can be seen as both, and it’s an ideal symbol for a university that has won acclaim for architectural and technological excellence. 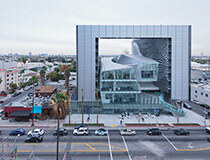 OMA’s Millstein Hall brought the architecture school into the 21st century, and Morphosis has now done the same for Computing and Information Science, an interdisciplinary department that was established 14 years ago. Bill Gates was greeted like a rock star when he opened the building his foundation helped to fund (donating $25 million of the $60 million construction cost). 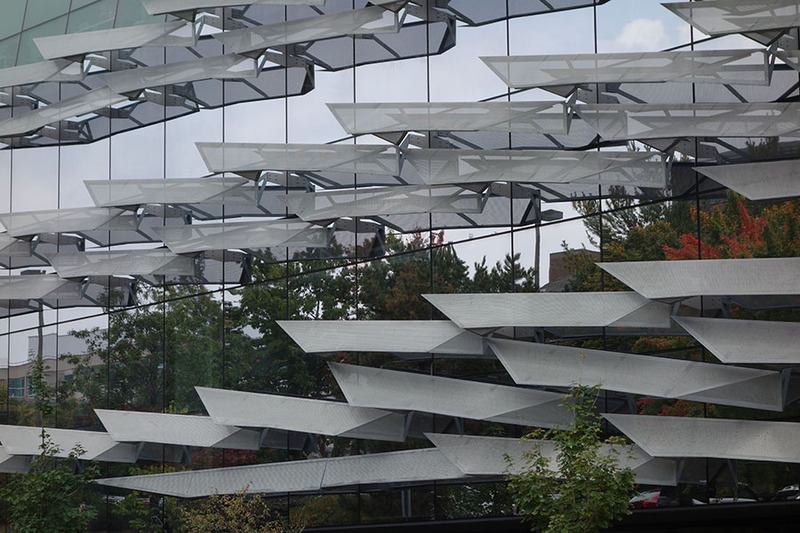 It’s a model of digital design and fabrication as well as sustainability, and is a precursor to the collaboration of the same architect and client on Cornell NYC Tech, the research campus that is slated to open on New York’s Roosevelt Island in 2017. Transparency is the hallmark of the Morphosis design. 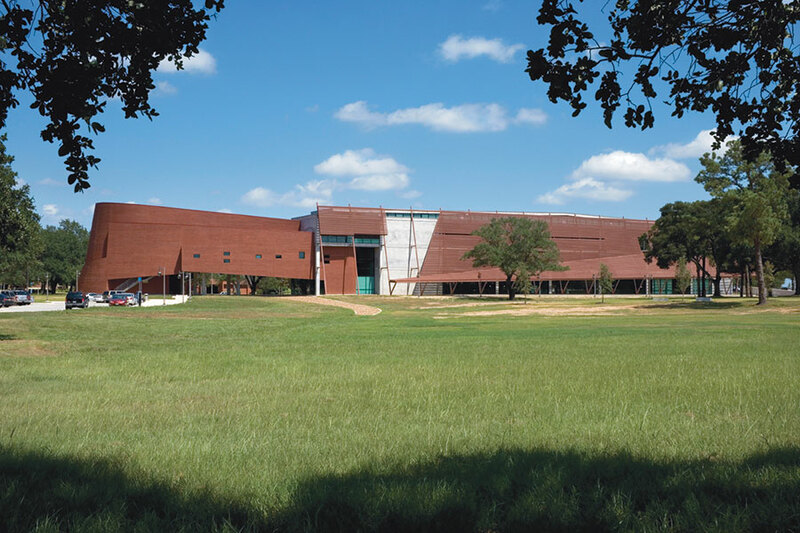 A five-story block of laboratories and meeting spaces rises from a slope and is entered from an upper-level plaza beneath the cantilevered west end, or from below. 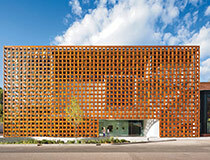 Each glazed facade is shaded by sharply angled panels of perforated stainless steel. It’s a strategy the architects have employed on several recent buildings, but each iteration builds on what went before. An addition to New York’s Cooper Union is veiled in steel mesh. For the Hollywood satellite campus of Boston’s Emerson College, folded aluminum panels screen the inner faces of two residential towers, and different shapes were combined in a random pattern. 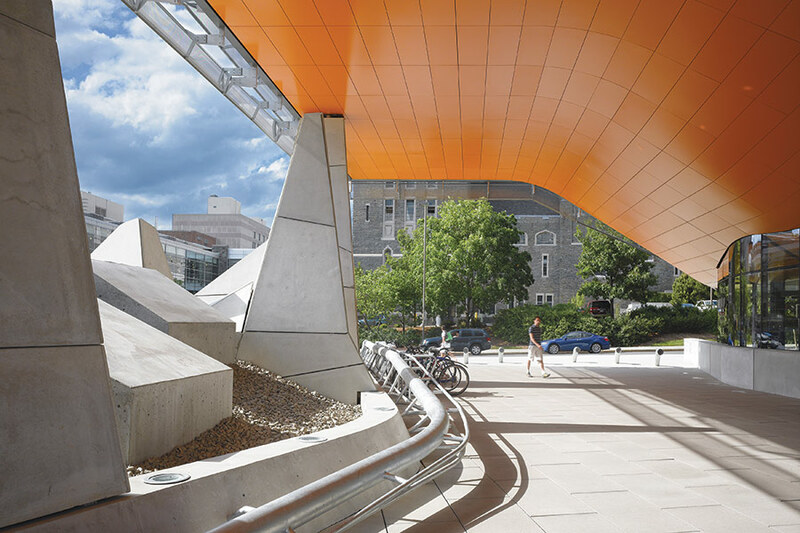 At Gates Hall, the concentration and configuration of the panels responds to the path of the sun. As on previous jobs, Morphosis worked closely with the A. Zahner Company of Kansas City, which custom designed the 450 panels in 90 subtly varied forms to simplify production and installation, and to achieve an elegant composition at minimal cost. 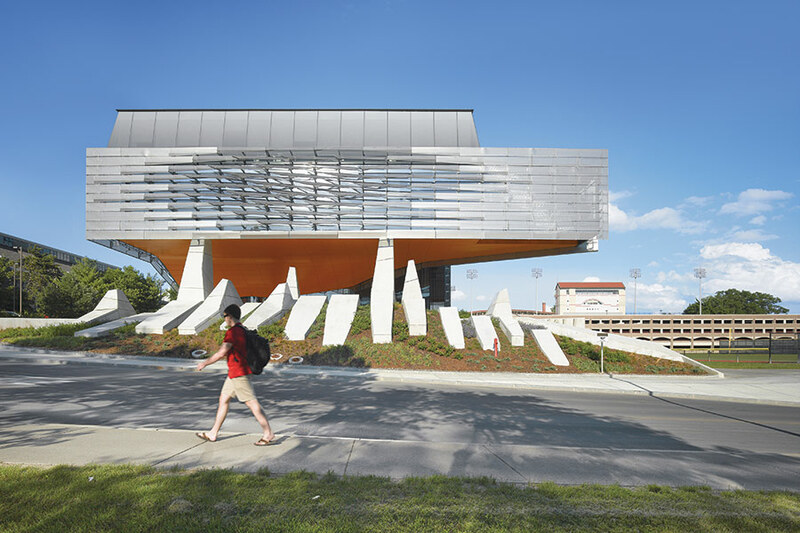 The dramatic variation from one facade to the next animates the simple block, as does the cantilevered wedge that contains a third floor student lounge at the southwest corner. 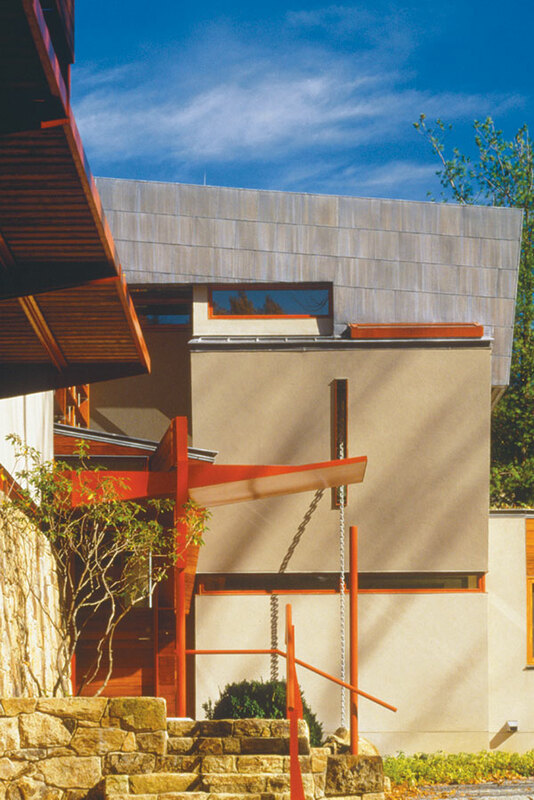 Zahner also fabricated the yellow ochre metal panels that line the soffit of the entry plaza. Tapered concrete columns help support the overhang and root the building to the ground, while faceted concrete benches extend the geometry into the landscaped perimeter. 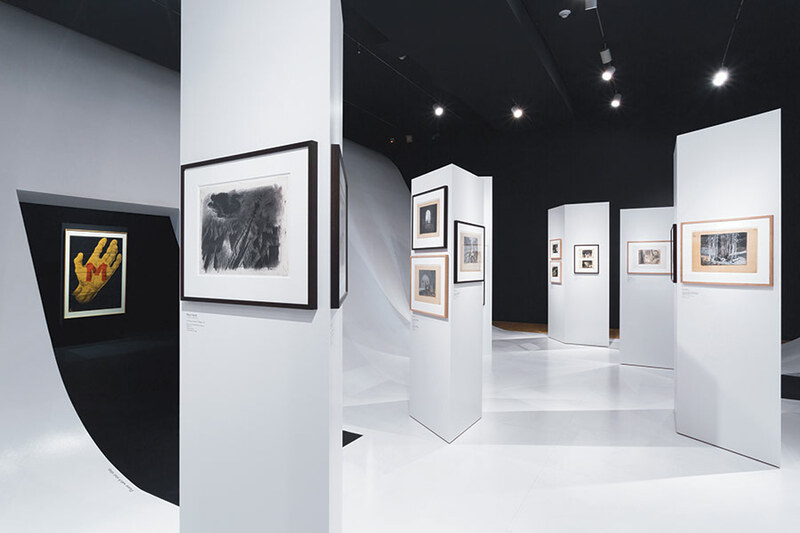 Within, the themes of openness and transparency are further developed, so that the researchers and students who formerly toiled in dark, enclosed spaces are encouraged to look in on their colleagues and socialize in the many shared spaces. 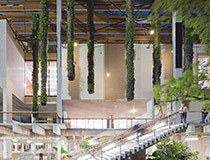 A lofty skylit atrium is wrapped in fritted glass to expose activity on four levels of the building. A lecture hall opens off the ground-floor entry hall, which is linked to the first floor by a two-story, south-facing space. Other large meeting areas are grouped around the atrium for ease of access. Fully glazed offices, small meeting rooms, and labs flank racetrack corridors on the three upper floors, and these incorporate break-out areas for chance encounters and impromptu meetings. A glazed attic story pulls additional natural light into the fourth-floor labs. Everyone on the south side enjoys the bonus of a grandstand view over Hoy Field, the campus baseball diamond. 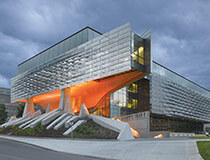 Gates Hall should achieve a LEED Gold certification for its conservation of resources and energy. High-performance glass and efficient shading devices provide an abundance of glare-free natural light. 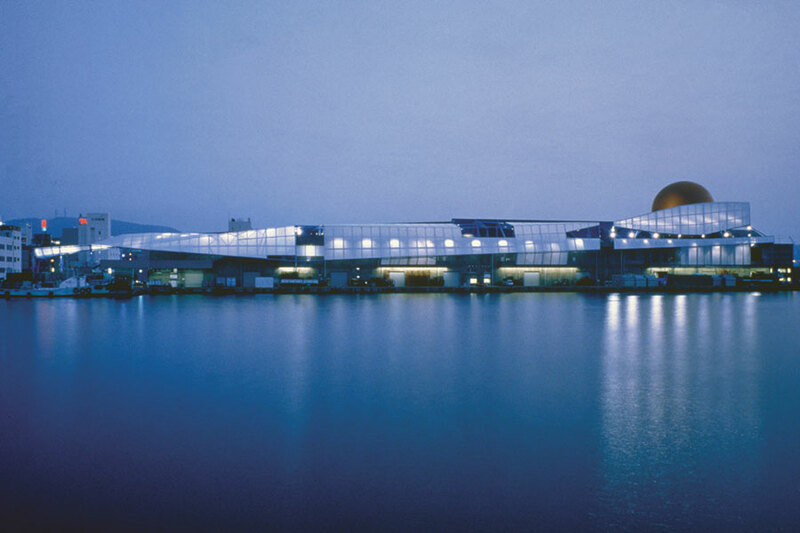 There’s a chilled beam passive convection air-conditioning system that draws on the campus lake for cooling. It’s a bold step towards the zero-energy building planned for Roosevelt Island. 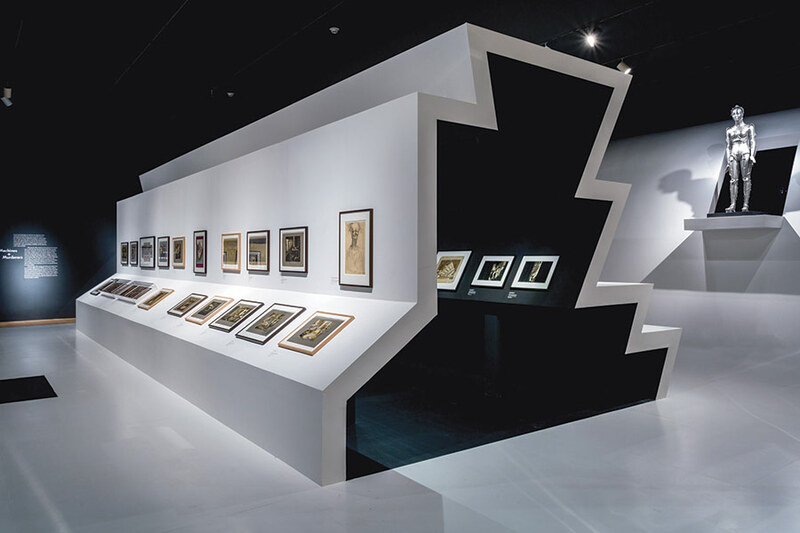 Gates also demonstrates the steady evolution in Morphosis’ work as they’ve moved from an exaggerated emphasis on complexity and raw detailing to more sculptural and refined projects, with no loss of vigor and originality. 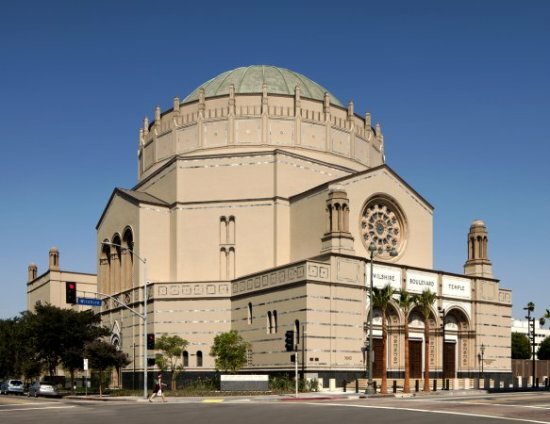 Wilshire Boulevard Temple, one of Los Angeles' historic gems, was just splendidly renovated by a team led by Brenda Levin & Associates. 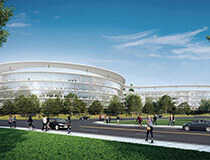 Now it appears to have shortlisted some of the world's top architects for its 55,000 square foot addition. The temple has declined to comment on the shortlist, but according to a source OMA, Renzo Piano, Morphosis and Kengo Kuma are now competing to design a 55,000-square-foot addition. Called The Gathering Place, the$30-35 million event and programming space will contain a banquets hall, cafe, meeting and conference rooms, and administrative spaces located at the northwest corner of Wilshire and Harvard boulevards. "The design must establish an iconic profile while taking into account the adjacent historic sanctuary building," noted the competition RFQ. That's not an easy task considering the phenomenal presence of the Byzantine revival sanctuary. Finalists' submissions are due at the end of January, and the winning team will be chosen in June. 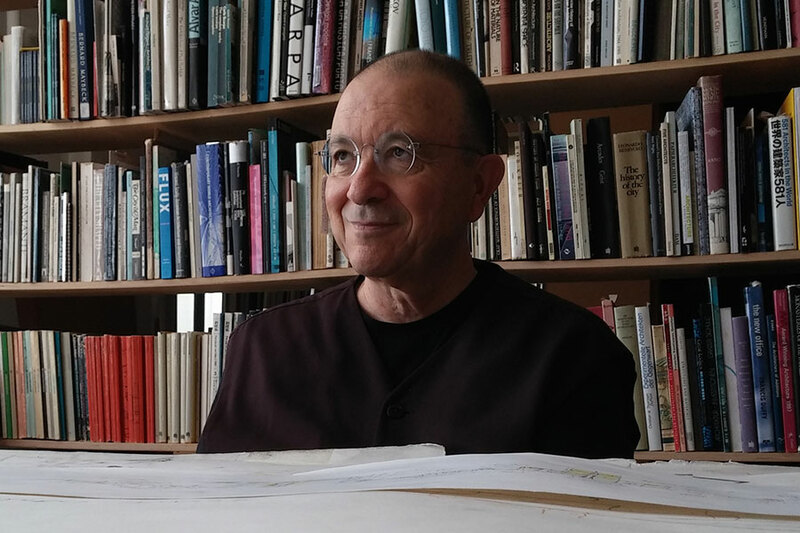 Members of the architect selection committee include philanthropists Eli Broad and Tony Pritzker, and one advisor to the committee is Richard Koshalek, who oversaw the competition for Walt Disney Concert Hall, among others. 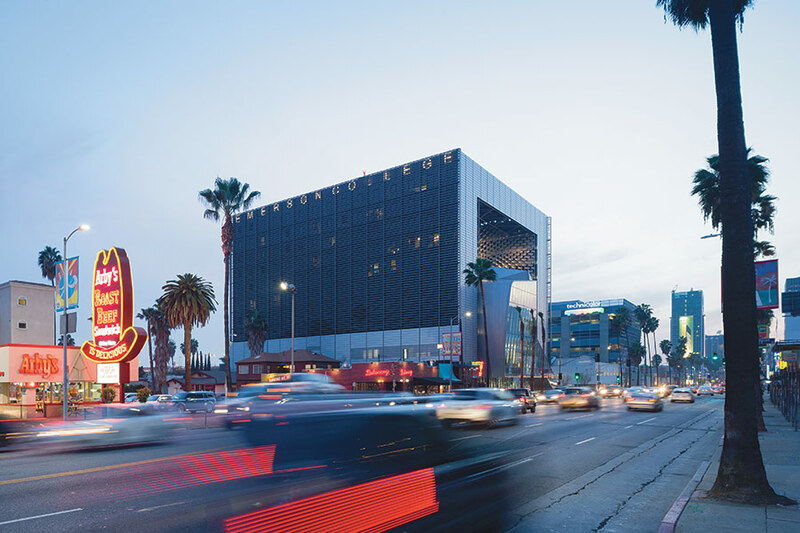 Eavesdrop> Kate Mantilini, Part II: Is Morphosis ready to revamp Beverly Hills? 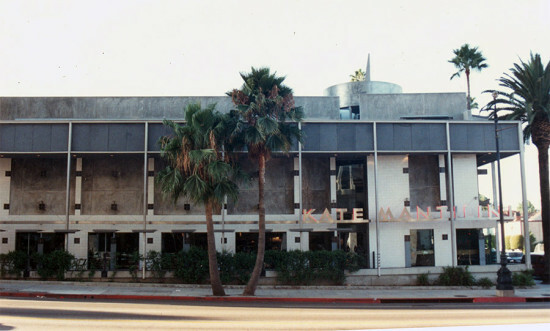 In a previous Eavesdrop, we reported that the famous Morphosis-designed restaurant Kate Mantilini in Beverly Hills was chafing at city plans to landmark the premises. Well it appears the problem may have been resolved. Eavesdrop heard over cocktails that Morphosis itself has been tagged to do the restaurant’s renovation. No official word yet, but this seems like a natural fit, doesn’t it? 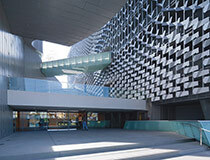 Emerson Los Angeles by Morphosis. AN's Crits provide a chance for our contributors and some of our in-house staff to share their thoughts, and raise questions, about some of the most talked-about projects around the country. 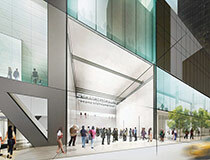 This year included in-depth looks at the 9/11 Memorial Museum, the Perez Art Museum, and MoMA's controversial planned expansion. 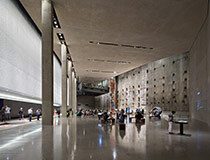 Herzog & de Meuron's design blurs the distinction between inside and out. Inga Saffron laments the controversial plan by Diller Scofidio + Renfro to demolish the American Folk Art Museum building. 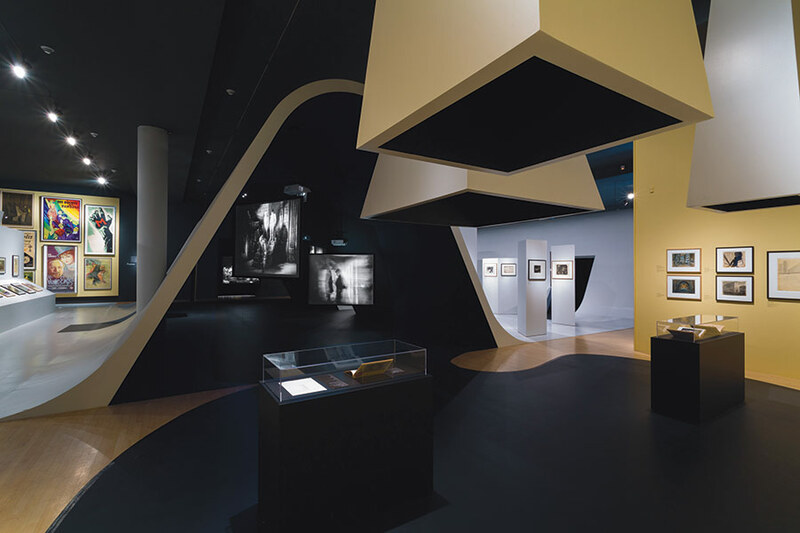 Alan G. Brake descends into Davis Brody Bond's somber museum. Minneapolis' multimodal transit station and public plaza hopes to catalyze real estate development. 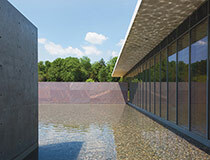 James McCown admires Tadao Ando's latest American cultural project. Michael Webb goes to Oregon and gets deep into his cups. Patrick Tighe Architecture and John V. Mutlow Architecture join forces to bring housing to the needy. 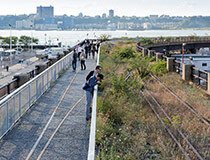 Alan G. Brake surveys the remnant landscape of the newest section of the High Line. 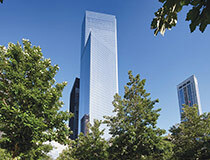 Alan G. Brake looks around Fumihiko Maki's New York City skyscraper. 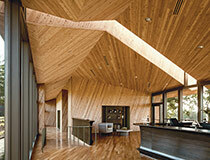 Aaron Seward reviews Shigeru Ban's first major post-Pritzker commission. 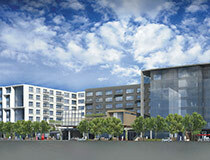 The NBBJ-designed Samsung headquarters in San Jose, California, features spacious terraces and courtyards. 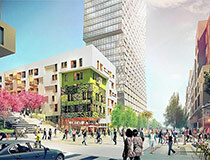 In 2014, AN continued to report on efforts made by cities in the American West to create liveable communities with significant architectural buildings. Here's what West Editor Sam Lubell found to be top of 2014. Tech campuses adapt to new demands. 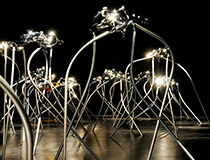 Sam Lubell sees metallic worms spilling out of Morphosis' new LA campus. 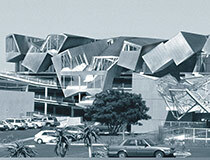 Advances in digital design made this decade-old design by Eric Owen Moss feasible for construction. 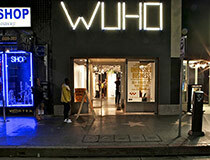 Los Angeles struggles to mold its emerging arts district. 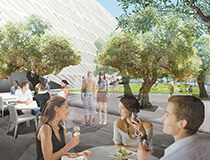 Sam Lubell talks to DS+R's Kevin Rice about a plaza beside The Broad museum. 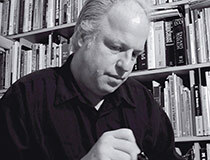 Gary Paige remembers the restlessly optimistic architect, artist, and teacher. 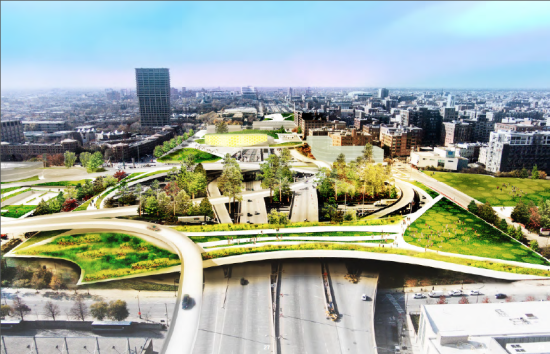 Sam Lubell on the importance of embracing cultural institutions in urban renewal projects. Sam Lubell advocates for the merging of corporate and boutique architecture practices. 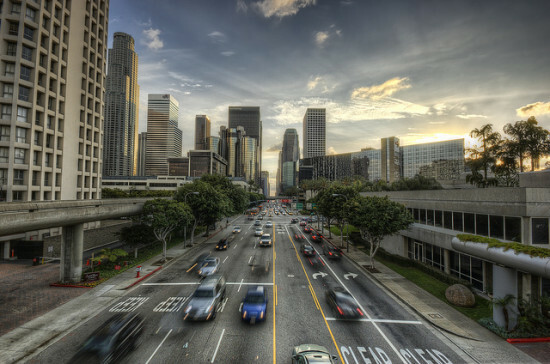 New director of AECOM's Los Angeles office suggests blurring the line between corporate and design firms. 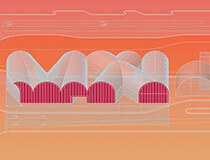 New director, new directions at SCI-Arc.